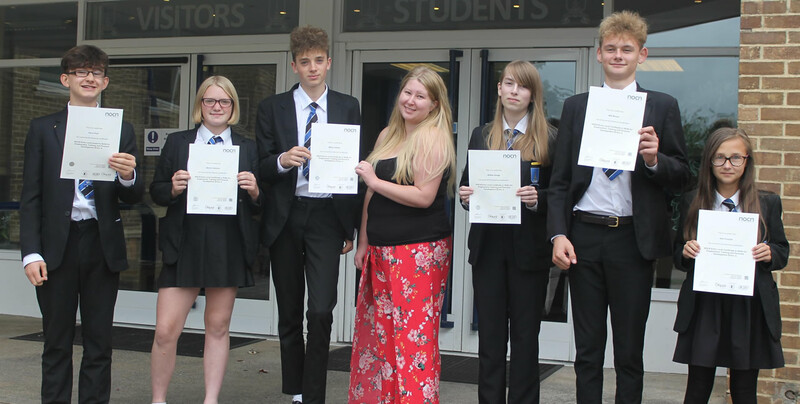 Six current Year 11 students at King Arthur’s School have gained their certificate in Skills for Employment, Training and Personal Development. Whilst in Year 10, the students attended local training company Crestmoor Training once a week to meet with trainer Lily Higgins. Their programme of study included work in the community, team building skills, customer service and personal development skills amongst other units of work. The students worked incredibly hard and have already started to reap the rewards of their new found skills and confidence. Following successful Year 10 work experience placements two of the students have been offered the opportunity of an apprenticeship once they have completed their GCSEs. Students are pictured with Lily Higgins, Director, Crestmoor Training.